*PST and GST extra. $300 retainer required at time of booking. 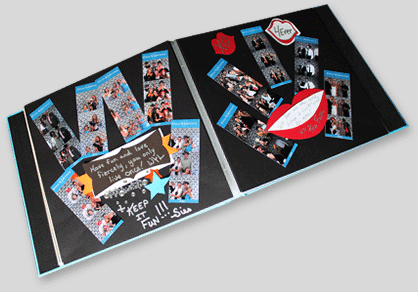 Particularly popular for wedding receptions, our scrapbooking option is a big upgrade from the traditional guest book and will leave you with fantastic memories (and goofy photos!) of all your guests. Best of all, we assemble the book on the spot during the event and it's ready to go at the end of the night!